The Cirque du Soleil show Delirium, which was called a “music concert” rather than a traditional Cirque du Soleil show, was the first experiment by Cirque to transport the experience of a Cirque show from the Big Top into the arena environment to be able to reach a greater audience. This experiment was obviously successful, because they converted their oldest touring show Saltimbanco to become an “Arena Show”. Saltimbanco Arena re-launched in the year 2007. Delirium was only running between 2006 and 2008, 2 years. I don’t know why they stopped touring with it in 2008, but that is also not the reason why I am writing this blog post. I watched Delirium in 2006 here in Fresno, California, the first time that a Cirque du Soleil production made it here. It was a good show, different, yes, but different does not mean bad. The show was obviously filmed by a professional film crew at one time during the shows run, because in summer 2008 Cirque announced something unusual. I cannot recall that Cirque ever did something like it in the past. They announced the screening of Delirium in movie theaters. It was only shown at selected movie theatres and only for a few days. I missed that and thought that it will be running longer, like a movie release. But I was lucky, they announced “Delirium Encore“, another screening of the show at local theaters. There were only three screenings, the main one on Wednesday, October 15 at 7:00 PM and then two more, each at midnight on the following weekend on Saturday, October 18 at 12:00 AM and on Sunday, October 19 at 12:00 AM. I saw it was my family on the Wednesday. We were the only ones in the theater, except for one other group of 3 or 4 people. I recorded a little bit of the show with my Flip Camera and used the material for a 7:24 minutes long promotional video, but lost by accident the raw recording (40-45 minutes) that I made shortly after. I was not too much upset about it, because I expected the DVD to be released by Christmas anyway. I posted a 28 minutes video with the complete hula hoops and hand-balancing act included two months earlier in August, after the announcement of the release of the show in theaters, all in the expectation that the DVD release is not far in the future anyway. Now it is March 2009, five months after Delirium Encore and still no DVD release of the show in sight, what’s up with that? WHAT? Why the heck would they do that? He stated correctly that Cirque released in the past all of their shows on VHS and/or DVD, except for their resident shows in Las Vegas. I also created a video where I talked about this issue. Backup URL to Video on vimeo (https://vimeo.com/92755511). In the case of the Las Vegas shows, I believe that the reason for not publishing a DVD is MGM who owns all the Las Vegas properties where Cirque du Soleil shows are running. But that changed now too. 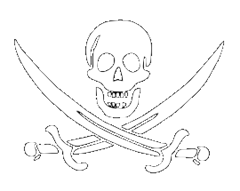 I know about a pirate release of the recording of show KA at the MGM Grand hotel and casino. I am not talking about a shaky recording by somebody sitting in the audience with a cheap digital video camera, no, a quality recording, fully edited and almost perfect DVD quality. More about this recording can be found here. All Cirque du Soleil shows became eventually available on DVD, even while they are still running and touring around the world. The only exception is the Las Vegas shows, which all happen to run at MGM properties only. Cirque must have signed an exclusivity agreement with MGM, from how it looks like. Franco Dragone, the famous former Cirque du Soleil director, who directed many of CDS shows, including Alegria, Mystere and “O”, split from Cirque to found his own company. Franco Dragone created a Cirque du Soleil like show called “Le Reve” for Steve Wynn’s latest Las Vegas property, the “Wynn Las Vegas”. The exclusivity agreement must be limited to Las Vegas only, because Cirque created and launched a show in Asian new “Las Vegas”, Macao, China last year, called “Zaia” and that show runs at the Venetian Macao, which is owned by Sands Corp. and not MGM, who also operates casino and entertainment properties in Macao as well. I am certain that the reason why no DVD release exists for any of the currently SIX and later this year SEVEN show productions is MGM and their old fashioned and paranoid management. The oldest show launched almost 15 years ago and stills no DVD release of it in sight. A large amount of segments became public naturally through promotional ads, documentaries, news reports and other media releases, but never an entire show, with all consecutive pieces in place and consistent format of video and audio. This is a first now. Cirque du Soleil shows (Circus a la carte) is a live experience that no canned version will ever be able to replace. For this reason I am convinced that this “pirate” release of the show will not hurt Cirque nor MGM ticket sales for the show in the years to come. I dare to say that the opposite will be the case. The recording will only function as better advertisement for the show than anything that is currently out there already. They probably will lose on DVD sales, but no, wait, they won’t, because they do not sell any recording of the show on DVD, except for a behind the scenes/making of documentary, which might won’t sell as good now anymore, since it is also part of this release as well. If MGM does not like to miss out on revenue and profits, then they have to release their own official DVD version of the show. People will eventually find this release, because nothing else like it exists at the moment… If the choice that people have includes only downloading a pirated show recording or no show at all, many will decide to choose the pirated version, with only little or no remorse, because MGM prevents people from being able to make the right choice and buy the legitimate version of it. As long as we agree that the purpose of copyright laws is still to make sure that artists are being compensated for their work and creations and not as a tool to execute a real form of censorship, which I define as the prevention of access to content and/or information that are of interest for the general public and for the benefit of the society as a whole, if access would be possible), then nobody should ever feel the wrath of the Justicative arm of the government. 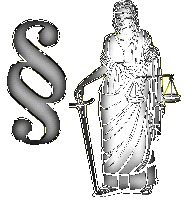 Most of the free world guarantees rights to its people to be able to access information without censorship via fundamental laws or constitutions, which means that nobody would have to fear, facing positional imprisonment or monetary penalties/fines for executing those rights in the real world. … And later this year in 2009 an “Elvis” themed show at the MGM City Center, which is currently under construction. MGM also owns the Mandalay Bay, Excalibur and Monte Carlo properties in Vegas (I hope that I didn’t miss any). Amen to that. I hope that this will have the desired effect on MGM and/or Cirque du Soleil. 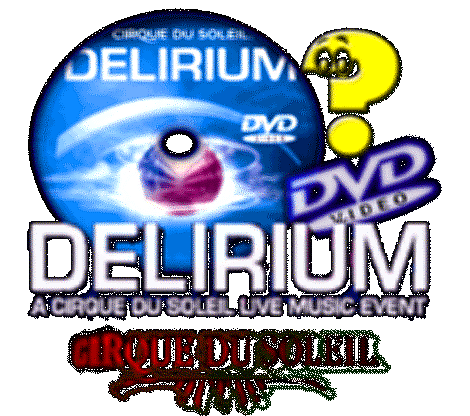 I also hope that Cirque du Soleil will change their opinion about the release of the Delirium DVD. I guess I will continue to gather up as much video material from the show I can get my hands on, to create another video of the show, which will be even longer than 28 minutes, like the last one. Stuff is easier to find on the Internet than it used to be in the past. We will get the content… slowly and with pain staking work and not over night, but eventually we will get there. All this only, because content produces hide content that is in demand in their vaults rather then making the content available FOR PAY that people can easily get access to the content without jumping through hoops and doing it “illegally”. Illegal is too hard of a word in this case, because the only crime committed is a violation of “Copyright Laws” that is supposed to protect the creators of content from getting robbed of their intellectual property and not to prevent access to that content in general. If the content has implication on people and society, this withholding of content would be called “censorship”. If I want to pay you for your work that you have already done and you don’t make it available, but it gets out to become accessible anyway, then accessing this content should not be against the law, due to the fact that It is impossible to obey to the law and compensate the artist for his work. If the content is made available for pay (in a way that follows common sense business rules and pricing), then you might call it unlawful, if the same content is being acquired without paying, because it was possible for the person to obey to the law, he had a choice. 7:27 minutes video on YouTube.com about my experiences from the Delirium Encore event on October 15, 2008. I split the video into 3 parts for some reasons: Part 1, Part 2 and Part 3.